Hawthorne Heights has announced they will celebrate 10 years of If Only You Were Lonely by playing the album in full on tour with Mest and The Ataris. Supporting acts Handguns and London Falling will join the trio of bands on the Three Headed Monstour. 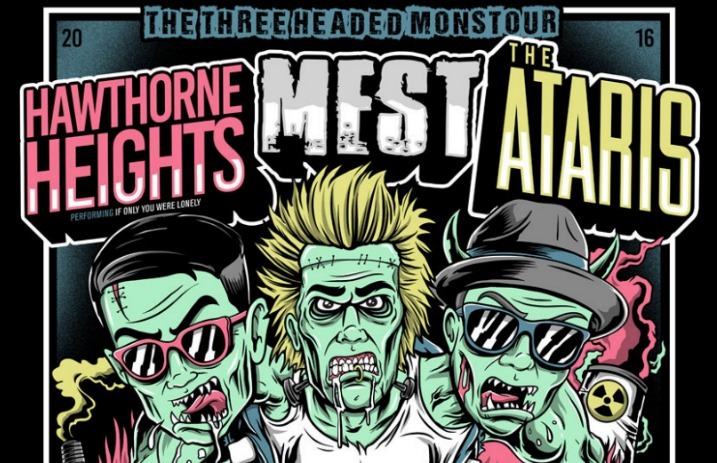 A list of tour dates and limited VIP upgrade packages are available now at ThreeHeadedMonsTour.com. General admission tickets will go on sale Friday.